This Bowel Cancer Awareness Month, Bowel Cancer UK is highlighting how the charity supports the NHS Bowel Cancer Screening Programme. 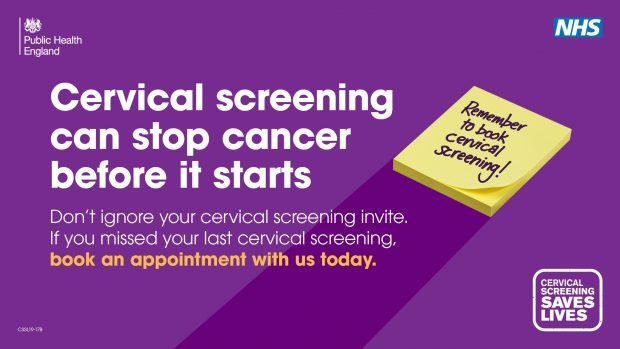 A reminder for primary care colleagues about Public Health England's current cervical screening campaign and information about how to access women's screening results (which are not available from the PHE Screening helpdesk). 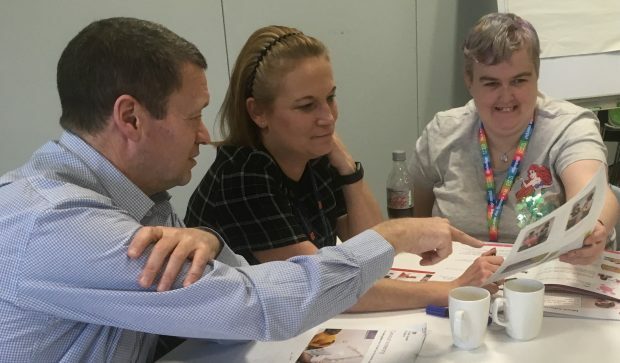 Find out how experts by experience from the North East and Cumbria provided vital input into the development of new national easy guides for cervical and bowel cancer screening. 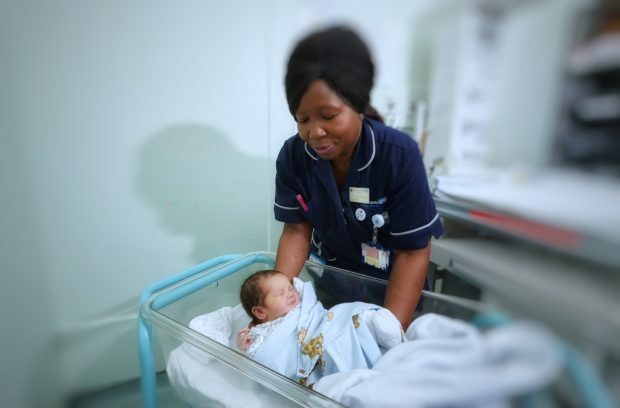 Public Health England, NHS England and NHS Digital have begun an ongoing collaboration to move from printed invitation leaflets to online information, starting with antenatal and newborn screening. 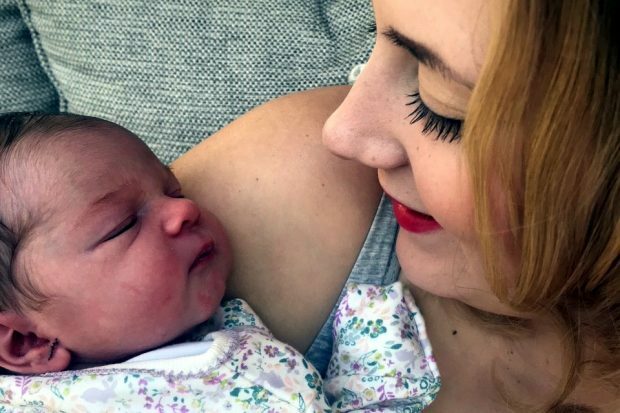 On 3 March 2019, over 150 organisations worldwide marked the fifth annual World Birth Defects Day. The goals for the day are to raise awareness across the globe about congenital conditions, look for opportunities to prevent conditions developing, and support antenatal testing where this is a result of an informed choice. 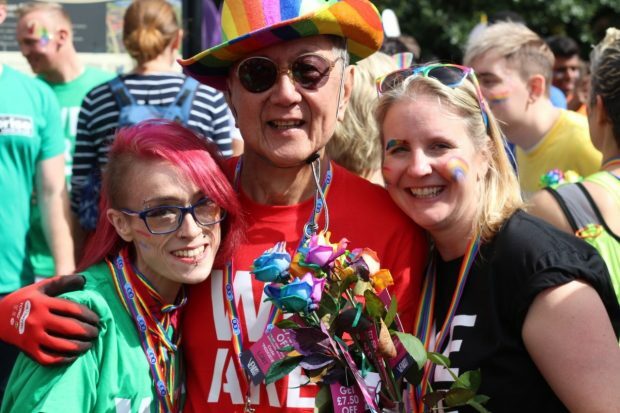 The first of a series of blog posts in which we’re looking at inequalities in LGBT cancer screening coverage. 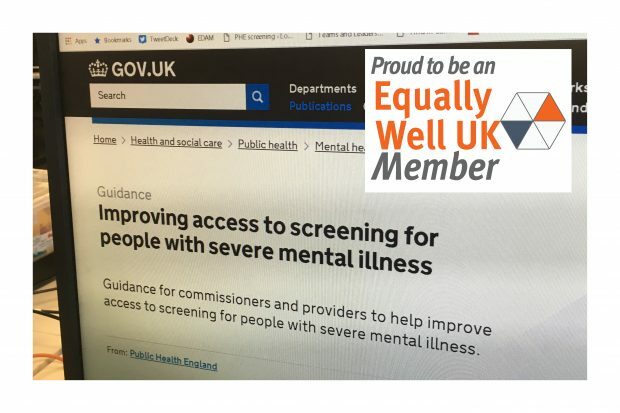 Today we have published new guidance for screening providers and commissioners that aims to improve access to screening for people with severe mental illness. 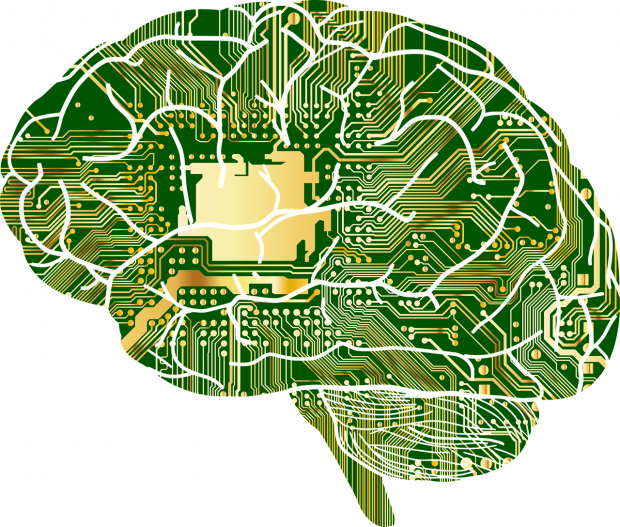 PHE is publishing new guidance in the spring which will help developers of artificial intelligence (AI) understand how new technologies could be used for screening. 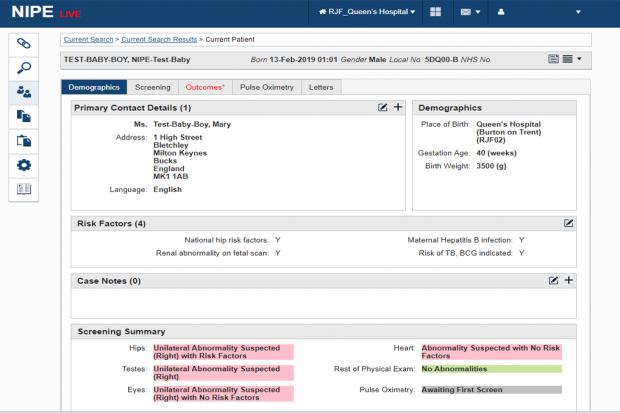 The new national IT system for the NHS Newborn and Infant Physical Examination Programme is due to go live on 1 April. 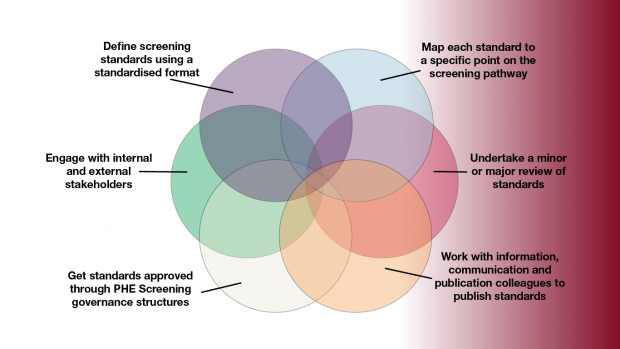 We have published the PHE Screening standards framework which gives a clear step-by-step guide about how we develop, review and publish standards. 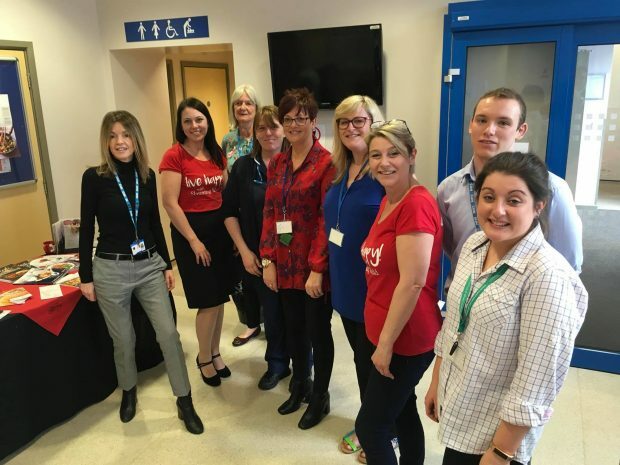 Find out how people with diabetes in East Anglia have benefited from the piloting of an innovative one-stop shop for all their regular checks, including diabetic eye screening.